Microinjection for conventional transgenic generation. We support generation of conventional transgenics by pronuclear injection of plasmid DNA. We offer constructing of transgenic vectors or can directly microinject user-generated constructs. Microinjection of 200 embryos is included in the cost for each project fee. ES-cell targeting by homologous recombination is also available. A complete project includes cloning of targeting vector, ES cell electroporation and selection, clone picking, screening and expansion. We provide screening by long range PCR for up to 300 clones. For microinjection of ESCs either for newly targeted lines or from existing cell lines (e.g. 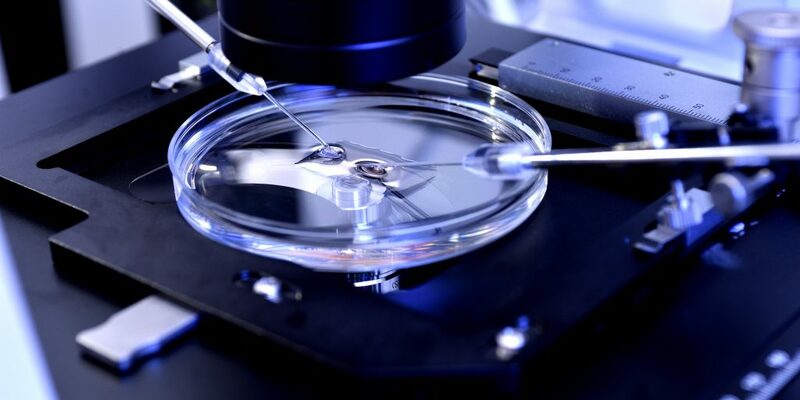 KOMP stocks) into blastocysts, the service fee includes expansion and microinjection of up to 3 clones or a total of 150 embryos, or 5 chimeras, whichever comes first. Genotyping of F1 generation is not included in our service, founders and chimeras will be delivered to the investigator for testing of germline transmission and founder line characterization. If you require breeding to F1 generation and/or breeding at TGEF facility, additional per diem and labor costs will be incurred.